There's a lot of pressure at this time of year to find the perfect gift for all the special someones in your life but that doesn't mean you have to spend hours shopping. Think outside the box a little, avoid the madness at your local mall and gift your loved ones with experiences instead of things this Christmas. The memories created will last longer than the excitement over any new toy or gadget and everyone will have less stuff cluttering up their lives. This post may contain affiliate links. If you click an affiliate link and make a purchase then we receive a small commission at no additional cost to you. Here are 15 suggestions - but the possibilities are truly endless - use your imagination! Do you have music or theatre lovers on your shopping list? Give the gift of entertainment with tickets to a Broadway-style production, a symphony performance, or an upcoming concert and the memories of your gift will last a lifetime. Subscription boxes might technically be a thing but when they come packed with activities then they are an experience as well! 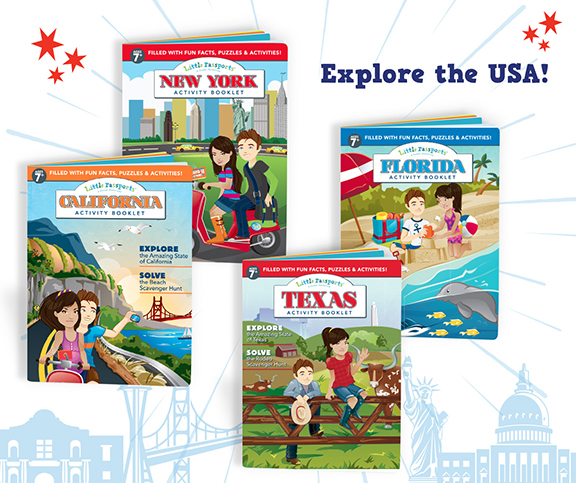 I love the Little Passports subscription box for kids because it's an award-winning product that is designed to inspire a love of geography, history, culture and language in children. When you give a subscription you give the gift of adventure as well as the anticipation of waiting for the box packed with fun and educational activities to arrive in the mail each month. Theatre lovers will also appreciate a membership or subscription to a theatre in the area. We have had a membership to the Stratford Festival, a repertory theatre company in Stratford, Ontario, Canada, for more than 20 years which provides access to a number of member benefits including the ability to purchase tickets before they go on sale to the general public. Professional companies in your area will sell subscriptions that offer reduced pricing on the season's line-up of shows as well. Another option is to look into local community theatre groups. Local amateur productions are a great way to introduce kids to high quality theatre available at an affordable price. An annual family membership to a museum or science centre makes a great gift as the recipient can visit as often as they want over the course of the year. With a membership they won't feel like they need to spend the day to get their money's worth either and short, frequent visits are often much easier to manage with younger children. As a bonus, some memberships have reciprocal arrangements with museums in other cities which will grant members free or discounted entry. We have a family membership to the Royal Ontario Museum in Toronto that is well-used at home and we have been able to use it to gain free admission to some museums while travelling as well. Check the museum's website to find out whether a membership can be used at other institutions. Is there a local attraction that your kids or grandkids love? Gift them season passes so they can go back again and again! Zoos, amusement parks, LEGOLAND Discovery Centres, and aquariums are all great options but you can also look into climbing gyms, trampoline parks or other such facilities as they might offer annual passes or packages for multiple visits as well. Give the kids a Tourist for the Day certificate which entitles them to one day (or a weekend) spent on an adventure exploring their home town. Book a sightseeing bus tour, visit the top local attractions and perhaps even make it an extra special staycation by throwing in a night at a hotel with a great pool! The family will get a chance to spend quality time together, create lasting memories and have an opportunity to explore those popular tourist attractions that we all have a tendency to overlook just because they are close to home. Sports fanatics will be thrilled to receive a gift of tickets to a big game or sporting event. Depending on where you live you may be able to choose from professional, college or amateur level sporting events that would be fun to attend. Wrap up the tickets with a team shirt or hat and you will have a very happy sports fan on Christmas morning! Time spent together is the most precious gift of all especially with grandparents and their grandchildren. Grandparents can gift children with a special day spent together taking part in a fun activity, visiting a local attraction or attending a concert or theatrical performance. Throw in a sleepover and it just might be the best gift ever! These outings can be made even more special if only one grandchild is treated at a time. Is there something a family member has always wanted to learn how to do but has just never gotten around to it? Something that one of your kids has expressed an interest in trying? Lessons can be the ultimate Christmas surprise whether they are individual or whether you sign the entire family up to learn a new activity. Cooking, horseback riding, dance, music, a new language - the possibilities are truly endless! Give a gift certificate for a fun activity based on interests - hot air ballooning, bungee jumping, ziplining, the Edge Walk at the CN Tower etc. If you can think of an activity then chances are you can find a business where you can purchase a gift certificate for a friend or family member to try something that they have always wanted to. Find an interesting local tour that someone on your shopping list would enjoy. Some popular options include themed food and drink tours, ghost walks, neighbourhood walking tours, and segway tours. Get Your Guide is a good option for finding tours online particularly if you live in a larger city. Make a charitable gift on behalf of someone on your list and they will experience the joy of giving to others. Some great options to consider include Plan International's Gifts of Hope, World Vision's Gift Catalogue and UNICEF's shop where the gift can purchase bed nets, clean water, medicine, goats, classroom supplies and much more. Another popular option for children is World Wildlife Fund's symbolic species adoptions where the donation goes to WWF's conservation efforts around the globe and the child on whose behalf the donation is made receives a plush animal toy and an adoption certificate. Give the gift of memories with a photography session for that special family on your list. If it's a family that likes to travel then consider Flytographer, a company that offers global vacation photography services by connecting travellers with a community of local photographers in more than 200 destinations around the world. The Flytographer photographer will spend about an hour capturing vacation memories for clients and the photos are emailed in just a few days. A number of people I know have used this service and their photos make a gorgeous souvenir. Gift cards are available. For many years we have been trying to cut back on the number of things we buy and gifting our family with travel at Christmas time instead. When our daughters were younger, my husband and I would plan a trip and then wrap up destination clues for them to open on Christmas morning and guess where we were travelling over the holidays. That way the kids had presents to unwrap but the actual gift was travel. A trip someplace near or far has always been their favourite Christmas gifts (and mine too)! A day trip, a weekend getaway or a longer vacation all make memorable gifts. If you want to give an experience to someone on your list but can't quite figure out how to go about doing it then look into one of the companies that provide this service. Companies such as Breakaway Experiences in Canada or LifeExperiences.ca for example, offer a portfolio of experiences available to purchase in a number of categories. They offer gift certificates as well if you would rather leave it up to the recipient to decide which experience to choose. Just google "gift experiences" and you should find companies in your area that offer the same service.